Definition: A transversal is a line that intersects 2 other lines at 2 distinct points. In the applet, the dashed line below is a transversal. 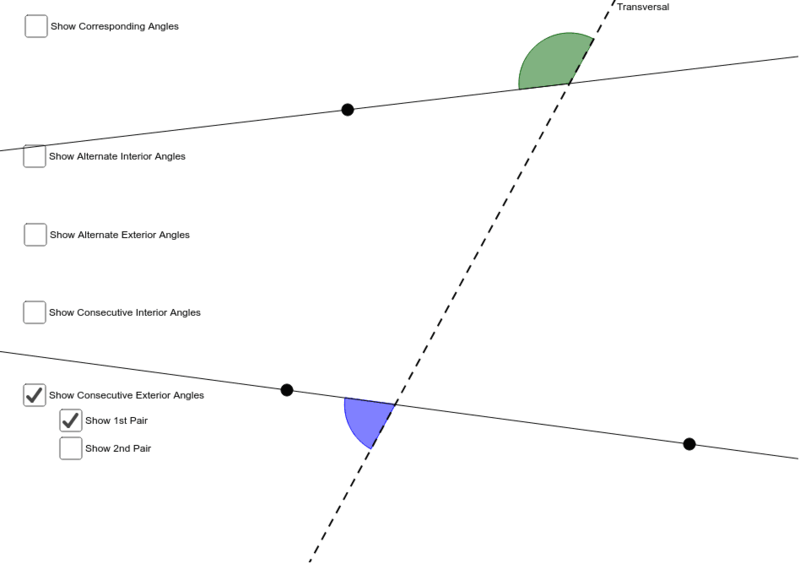 When a transversal intersects 2 other lines, special names are given to certain pairs of angles. Use the applet below to help you fill out the Transversal Angle Pairs hand out.